In ARK: Survival Evolved, you have to prove your survival skills without any equipment you land on an unsafe island. Here you will find wild creatures such as dinosaurs, monsters and creatures of prehistoric times, discovering strange plants while fighting for survival. But if the game does not start, then you can not experience them all. ARK: Survival Evolved - Does Not Start: What to Do? - Install Windows 's latest service pack: You may be able to solve the Not Staring problem by installing the latest service pack. - Steam method: Go to the Steam library, go to ARK: Survival Evolved and right-click on the game. Now navigate to the settings and write -sm4 to the line at "Set Startup Options". Now confirm, close the range, and restart ARK. There are no shadows and so on. More in the game, which have influence on the performance. This makes ARK easy to start without having to make other settings or manipulate a .dll file. - Check System Requirements: If ARK: Survival Evolved doe’s not start, it can be because your PC does not provide the required performance. So check in advance what system requirements the developers recommend. - Restore graphics settings: Go to the settings for your graphics card via the system settings and change it to "Low". StartsARK now. However, with such low performance, the game quality and the fun can be lost. Moreover, it can also be helpful to download the latest drivers for your graphics card, whether AMD or Nvidia. - Update DirectX version: Go to your Steam Apps folder on the PC, where you should find a DXSETUP.exe under ARK \ _CommonRedist \ DirectX \ Monthyear. With this file, you can update your current DirectX version. This can also help to get ARK finally started. - Reinstall: If you have not already come up with the idea, then reinstall the game it has helped some players. - Firewall "does not let you in": Sometimes your firewall also blocks the start of a game. You could turn it off briefly to test if this was the problem. If this is the case, you could add an exception for ARK. - Error message "Starting BattlEye Service ...": In order to avoid this error message, you go to the Steam folder on the PC where ARK is located. The following path is: Steam \ SteamApps \ Common \ ARK \ ShooterGames \ Binaries \ Win64. Here you will find the file "ShooterGame", which should also have the ARK logo. Take these and drag them to your desktop or create a shortcut. 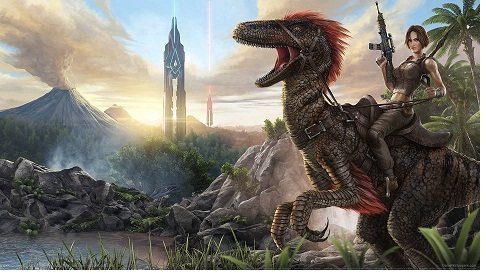 Now you should be able to start ARK: Survival Evolved easily. If you don’t really get ARK: Survival Evolved on the PC to start, then you have the possibility to return it with full refund as a Steam credit, if you bought the Survival game at Steam. The only condition is that you should not have played the game for more than 2 hours. This problem with ARK is apparently not a problem of the game itself, but rather one of the system in which it was installed. If you are running Windows 7, make sure you have the Service Pack 1 installed. The error may also occur because your graphics card driver is not up-to-date. Please download the corresponding driver for your graphics card on the official AMD or Nvidia page. If ARK still crashes, then you also have the possibility to download and install the so-called Visual C ++ Redistributables. This is a software that installs runtime components on your PC. This is important if you want to run different programs and games . The programming language is C or C ++. However, since there are programs that only run with older versions or with newer versions of the Visual C ++ Redistributables, it may be useful to install them. Most of the time, a game provides the corresponding Visual C ++ Redistributables. They are usually found at ARK as Steam \ SteamApps \ common \ ARK \ _CommonRedist \ vcredist \ . Here is the vcredist_64.exe . You should not forget to put the game in the main folder. - Installed ARK: Survival Evolved simply once again. - Go to ad / server via Steam to search for an ARK server. So connect to the server, because this may be the problem, if you want to connect directly to a server via the Join button. - This may sound funny, but it can help close up browsers or tabs that contain or play videos, if you have other programs open. - For Nvidia graphics cards, you can change the power management mode. Go to the system controls of your graphics card and under the tab "Global Settings" you can now find the energy management mode in the 3D settings. Now, let's assume that you want to set it from "Adaptive" to "Maximum Performance". - You could also try to rewrite the .ini file. However, you must really have a clue about it, otherwise this could go quite wrong. At the moment, it is not really possible to play on the PS4 in multiplayer. The problem is that you currently cannot rent a server. However, theoretically you can create your own server. For this you have to be a PSN member. On the other hand, the difficulty is that you have to have a second PS4 for it. On this second PS4 you cannot play. It is server and client in one and serves only to provide the server. If you make this available to other players, then you must be aware that you have to run the second PS4 day and night. If it is switched off, others can no longer access the server. In addition, you should not be more than 200 meters away from the server host when playing in the non-dedicated session. You can join a PS4 ARK server if you know the PSN name of your friend and he is in your friend list that created such a server. You can also find the ARK servers on the PS4 by the following website: www.ps4-arkserver.de. It is also not yet possible to join an Xbox or PC server. However, it is planned to introduce the so-called cross-play. In the future the players of all terminals could play together.